It’s been a while, but I’m back on a smoothie kick again =). Am I the only one that comes home from work starving? I guess I never really got over needing an after school/work snack, so I’ve started making myself a daily smoothie. Today it felt like a chocolate peanut butter banana kind of day. It was delicious – almost tasted like dessert even though the banana is the only source of sugar. The flavors are nicely balanced and compliment each other so well! 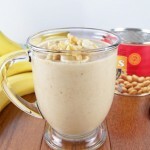 Who doesn’t love peanut butter and banana together?? 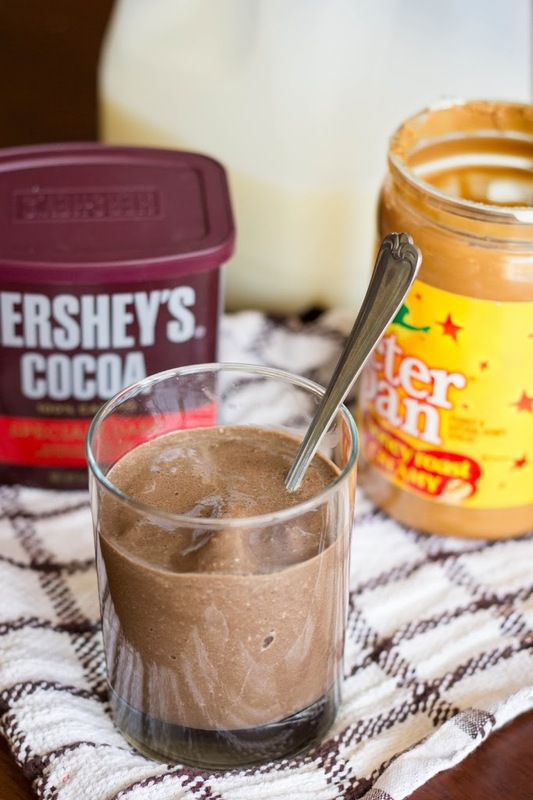 The peanut butter makes the smoothie very filling, easily tiding you over until supper (or lunch if you choose to make this for breakfast instead of a snack). 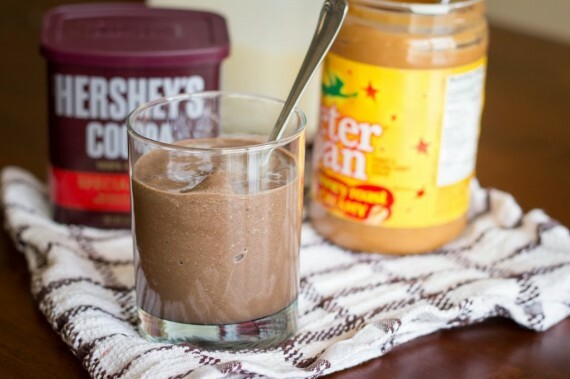 And if your new year’s resolution has you on a diet, this would be a great healthy dessert option too. Enjoy! Place all ingredients in blender and pulse until smooth. Serves 1. Nutritional Info: 232 calories; 9.2 g fat; 36.1 g carbohydrates; 5.8 g fiber; 8.4 g protein. Hope you enjoy! Thanks for stopping by :). Hi Kendra! 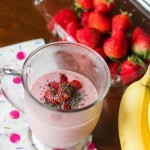 This smoothie looks fantastic! 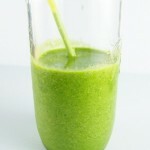 My son and husband got me a ninja blender for christmas, and this would be a great smoothie to try out. Stopping by from Tuesday Talent Show. Have pinned!